The life of the blind in a smart city | Fleming. Besides the challenges posed by the physical world, they also have to learn how to live in the digital world. It is truly amazing how much technology has progressed in recent years. There's still room for improvement, but so many things are becoming possible these days. Computers definitely have changed the lives of us all, but the most significant changes have been for the lives of blind people. So, how does it feel to use smart technology as a blind person? Most people probably are not aware of the fact that since 2006, all Mac computers have been developed with a standard screen reader built into them. By simply giving a couple of commands to the computer, you can turn that feature on and a blind person can begin to use it. 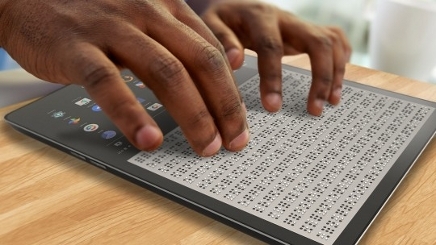 Technological innovation has brought some positive and incredibly good changes for the blind. Today, many websites are adapted and designed according to accessibility standards. This means a blind person is able to surf on the Internet just like anyone else. The Internet is a great boon for blind people as it empowers them to independently complete tasks without help from others. We might not notice, but there are also many phone apps to help blind users with their daily life and open them up to a whole new world. I personally like GeorgiePhone software, which helps with everyday tasks. It confirms where you are and what is around you, provides bus journey information, reads print and diary dates and much more. I think you'll agree with me when I say that they are a direct proof that a physical defect doesn't have to be an obstacle to gaining knowledge and succeeding in life. When it comes to smart city development, the roll-out should be progressive in order to make the city disabled friendly. Installations like remote sensing and monitoring devices are used for many purposes, but they also alert blind people of the location and layout of intersections. 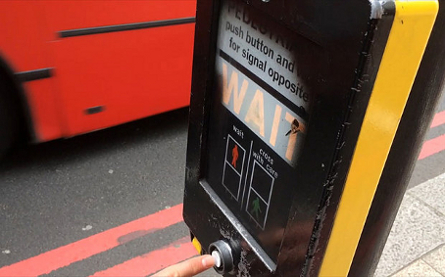 Other great innovations also make the lives of blind people a bit easier, like smart traffic lights: when a pedestrian light turns green, a specific audible signal is activated to prompt blind people to cross the road.